Your grantees are struggling, but is grantmaking helping or hurting their viability? Ask any executive director of a growing nonprofit, who is tasked with balancing a budget and sustaining programs, and they’ll tell you their jobs are very difficult, and they are right. Nonprofit organizations in the United States are now being challenged by major demographic, economic, technological, and social factors outside of their control. Consequently, most face significant financial hardship, an uncertain future – and don’t know what to do. 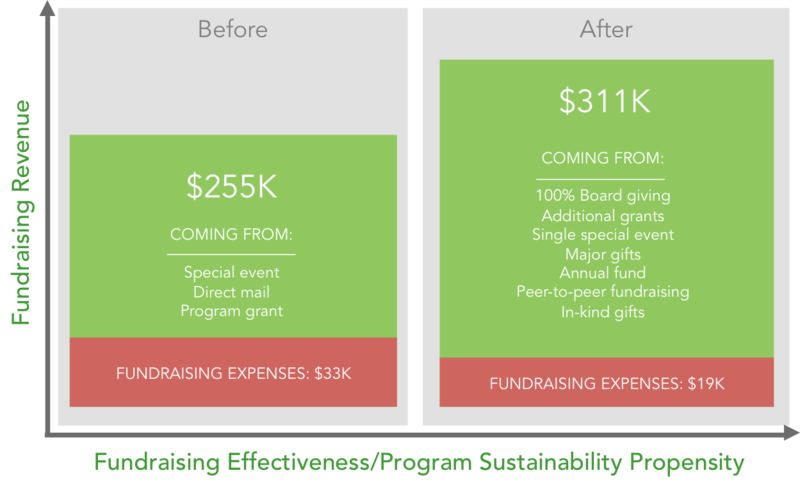 These same small to mid-size nonprofits, with operating budgets of less than $2-5 million, spend roughly $33,000 each year on consultants, training, conferences, and software, hoping to raise more money. Not only do 77% miss their budgeted revenue goals, they are actually raising less money than the previous year. That means even with all of the resources invested, the majority of organizations are actually losing ground – and they are asking grantmakers and their donors to make up the difference. Every foundation and donor wants to see its grantees succeed in raising the resources required to create impact and sustain and scale the work they fund. Our natural inclination is to find a way to help. In the final analysis, though, funding to bring on a development director, hire a consultant, or attend a conference often fall short of the transformation envisioned. The skills needed for effective nonprofit leadership today are complex and numerous. While there are workshops, conferences, and publications available, they assume the nonprofit has the resources to hire and retain a full-time, professional fundraiser long enough to raise sufficient money to pay their salary. We think that’s the wrong approach. Dollars raised need to sustain programs and mission, not merely fundraising and overhead. However, we wanted to make sure we were right. Since its founding, Network for Good has helped more than 125,000 nonprofit organizations make big impact with modest budgets, distributing over $2 billion with its online giving technology and training. We asked 10,000 nonprofits who planned to apply for grant support this year, “What do small to mid-size nonprofits need, but don’t have or can’t afford, to effectively raise the money required to sustain programs?” With the answers near universal, we created the Jumpstart Program for nonprofit organizations – and the grantmakers that fund them. Coaching & Direct Fundraising Services. After completing a profile, grantees choose a certified and accredited fundraising consultant (“Personal Fundraising Coach”) to begin a two-year relationship, meeting virtually two times per month to create and implement a right-sized fundraising calendar and activities. Additionally, each Coach allocates two hours of DeskTime a month, whereby grantees select from a menu of direct services that the Coach will fulfill directly – as if a member of their team. Monthly Live-Streaming Instruction & Priority-Setting. 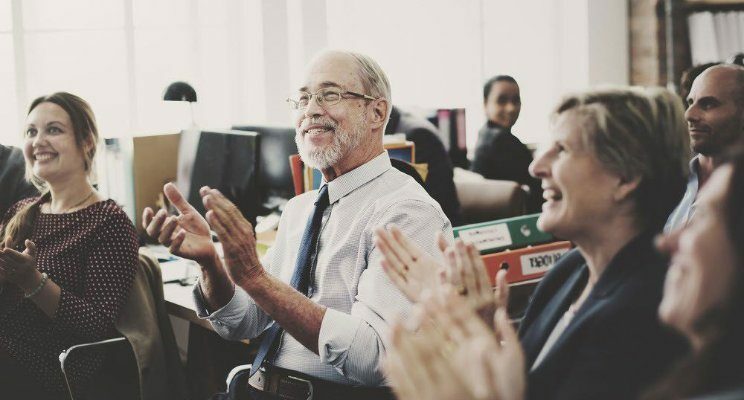 All fundraisers within each organization attend monthly best-practice fundraising instruction to leverage their existing technology, plan, and team to fundraise with greater efficiency and results. Each month, a different area of fundraising is presented from thought leaders in the sector, and to help grantees implement the instruction, they are sent templates and task lists each week – so they can execute with support, confidence, and ease. Board & Staff Alignment. To bridge the fundraising gap between board, staff, and the organization’s budget, a quarterly, virtual town hall meeting is held, inviting the board chair and executive director to create visibility into the organization’s needs and the dependencies on board and executive staff for success, attending virtual workshops. The objective of these workshops is to alleviate the misconceptions around fundraising’s complexity and instead, focus on what’s possible – and align everyone around quarterly revenue goals. Technology & Software Integration. Grantees are also given licenses for Network for Good’s fundraising technology suite, the All-in-One Fundraising Solution, to implement the fundraising plans created and supported by the Coach. The software easily integrates online giving, peer-to-peer fundraising, event ticketing, and email automation with their existing website – and utilizes a donor management system (DMS or “CRM”) that is integrated with all of the donor-facing fundraising tools. For the cohorts that increased their net annual revenue, the result was not only more and diversified revenue, but in the cases where the technology, plan and team was packaged with a program grant, the net revenue equaled or exceeded the grant amount, resulting in the organization being able to sustain the funded program before the grant period had even ended. To learn more about one organization’s journey through the Jumpstart Program, you can download a case study summary, here.